Ham Nation D-STAR After Show Net | The best net on D-STAR according to 9 out of 10 repeater systems. Welcome to the Ham Nation D-STAR After Show Net! 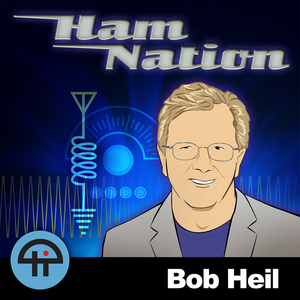 Ham Nation is a net cast recorded live every Wednesday night at 9 PM Eastern / 6 PM Pacific (0100 UTC Thursday, 2nd Sun Mar – first Sun Nov. 0200 UTC Thursday, first Sun Nov – 2nd Sun Mar.) on Leo Laporte’s TWiT network. Starting in October 2016 the live recording of Ham Nation is simulcast on 5085 kHz WTWW shortwave. The show is about the excitement and importance of ham radio – from tossing a antenna wire in a tree allowing you to talk to the world, to the importance of ham radio operators in times of disaster. They cover topics that will interest both non-hams and Extras alike. It will keep you glued to your screen. Leo is licensed as W6TWT. The show is replayed on the live stream throughout the evening until TWiT starts recording live. It will appear in the archives and for download about 4 hours after the show concludes. Remember, only the downloaded versions of Ham Nation get counted toward the viewer numbers. Even if you catch the show live, show your support by downloading the show and be counted! What counts as a download? Visiting the TWiT Ham Nation show page and watching, listening, or downloading any episode. Using any of the “Subscribe” links on the show page and using that service or application to watch/listen/download. Lastly, using any method on the “How to Watch and Listen” link to watch/listen/download past episodes. Join us Wednesdays on D-STAR reflector 14 module C at 10 PM Eastern / 7 PM Pacific time with net controllers: Dave – KB9VZU, Jeffrey – K8JTK, and Paul – K9PTF. We talk about the show that aired or anything else ham radio! All properly licensed hams are welcome to join in! Huge thanks goes out to the Nevada Amateur Radio Repeaters, Inc. for letting us use Reflector 14 for the net. Please feel free to connect to the reflector and use it at any time, not just during the net. Also want to thank the repeater owners and operators who allow their systems to be used for the net. Finally, everyone who checks in! Check out the nice plug we received from Don AE5DW on episode 163. George regularly plugs the site too. Thanks guys for your support!